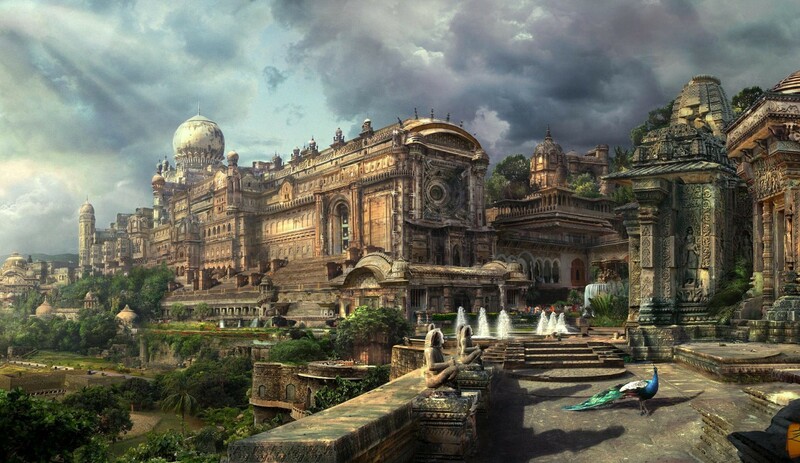 This “fantasy city” by Dmitry Zaviyalov combines the architecture of many of Rome’s Asian contemporaries. 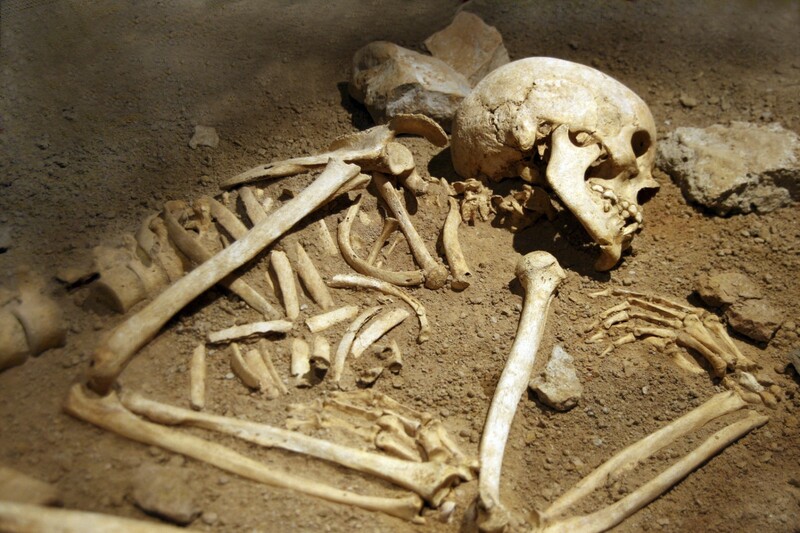 This week, the BBC announced the discovery of two “ethnically Chinese” skeletons at an ancient Roman burial site in England. Who were they? What drove them to the far end of the world? We don’t know, yet. But for once, an article’s clickbait headline may not be exaggerating. If the genetic identity of these skeletons can be confirmed, it could indeed “rewrite Roman history” — or at least, a whole lot of long-held assumptions about who was in contact with whom in the days of the Roman Empire. 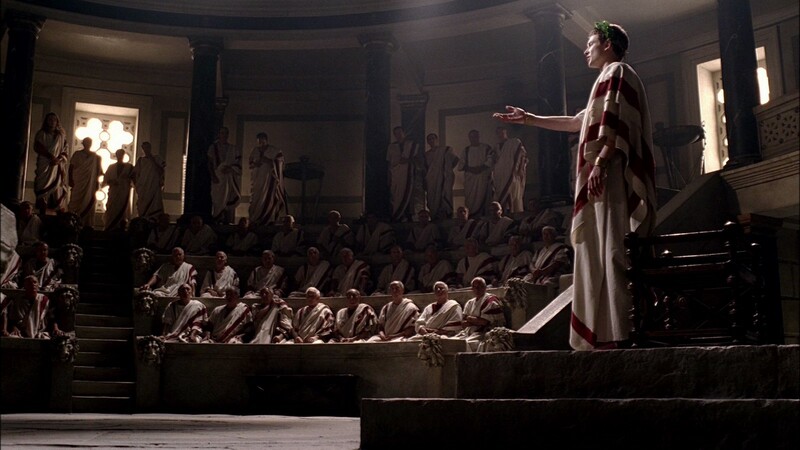 Oh, we’ve known for a long time the ancient Romans were aware of China’s existence — in fact, Chinese silk was such a drain on the Roman economy that the senate tried to outlaw it in the year 14 CE. And the Chinese emperors of the Han dynasty were certainly aware of Rome — they called it Da Qin and repeatedly tried to reach it with envoys and missionaries. No one disputes the fact that these two cultures had centuries of indirect contact, via trade routes through India and Persia. Roman coins have been found as far east as Japan, and DNA evidence seems to suggest that Europeans settled on the western fringes of China as early as the 200s BCE. What’s much less clear, though, is whether Chinese or Roman diplomats ever managed to achieve direct contact on each others’ native soil. Romans were largely locked out of the civilized world. That’s certainly what most of us (in the West, anyway) are taught in school. Back in my school days, I was taught a fair amount about Rome, a tiny bit about China, even less about Persia, and nothing at all about the Kushans, or the Axumites, or any of the other powerful empires that controlled large chunks of the globe — and often helped shape the cultures and fortunes of European nations. The truth is, though, that Rome’s Asian contemporaries completely dwarfed Rome in many respects: heritage, population density, cultural diversity, technology, architecture, medicine, philosophy, poetry… I could go on, but you get the idea. During the Roman period, the Asian continent was by far the wealthiest, most advanced, most culturally diverse place on earth. Imperial Rome was a dim backwater by comparison. Ever since I’ve learned that fact, it’s always made me sad to think of the Romans being largely cut off from the main action on the world stage. If researchers can verify the ancestry of these skeletons in England, maybe Rome wasn’t quite as cut off as we always believed. It’s an exciting thought. But it doesn’t change the fact that, on the whole, contact between Rome and the East — and thus, between Eastern and Western cultural legacies — was mostly indirect, mediated by third (and often fourth and fifth) parties. Who were these vast empires of Asia? What was it like to live in them? Where did they come from, and what legacies did they leave? I’m glad you asked. Let’s take a journey to the East. But first, a quick announcement. I’ve decided to centralize all my history and culture writing — including some articles you may have seen here on Medium, as well as many others you’ve never seen before — on my site The Strange Continent. All these stories are still going to be as freely available as ever — it’s just that I’m phasing out Medium in favor of my own blog, for a variety of reasons. Follow me there, where you’ll find this full article, along with all kinds of other juicy historical tidbits.